OK, you lummucks. Just because you’re a big bad deer hunter doesn’t mean you don’t have to worry about Mother’s Day. I’m talkin’ to you, Paco! Be smart…get her something fashionable and thirst quenching…go to the Leinnie’s store. 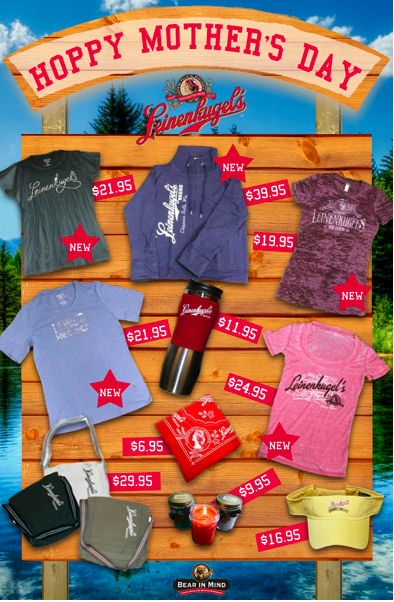 Pick up a new Leinnie’s t-shirt and a couple of Leinne’s beer scented candles for the woman that brought you into the world. Nothing says “I love you” like scented candles that smell like a tavern on Sunday morning! Paco, you may need your Dad to help out with the 12-pack purchase…I’m just sayin’.